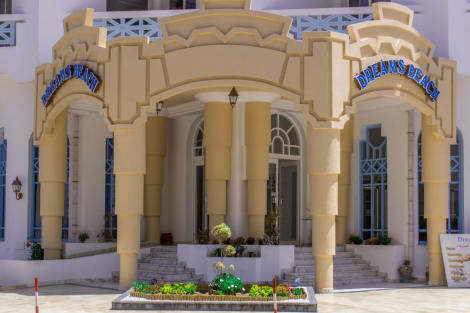 Right in the very heart of Sousse, a city that combines quiet and leisurely spots excellent for a pleasant stroll, with the famous Boujaafar Beach about 100 metres away, this city hotel is designed with attention to detail and with the aim of providing a truly comfortable accommodation to guests from all over the world. Parking is available for those arriving by car, but the establishment also provides an airport shuttle service. After an eventful day of beach fun or sightseeing, guests can relax with a refreshing drink on their private balcony or check with friends or colleagues, thanks to the complimentary wireless Internet access. This enchanting hotel enjoys a privileged location just 400 metres from a beautiful beach in Sousse, close to some local shops, restaurants, cafes and bars. The airport is about 12 kilometres away. Guests will appreciate the comfortable accommodation units where to relax and unwind after a busy day of sightseeing. They all include a private bathroom and come complete with a balcony or terrace featuring stunning views over the garden or to the city. The onsite dining facilities include a restaurant and a bar serving mouthwatering specialities, and visitors will have the chance to take a refreshing dip in the sparkling swimming pool. Services include Internet access, ideal for corporate travellers needing to stay connected. Grab a bite at one of the bed & breakfast's 3 restaurants, or stay in and take advantage of the room service (during limited hours). Quench your thirst with your favorite drink at the bar/lounge. A complimentary full breakfast is served daily from 7:00 AM to 10:30 AM. Grab a bite at one of the hotel's 3 restaurants, or stay in and take advantage of the room service (during limited hours). Quench your thirst with your favorite drink at the beach bar. A complimentary continental breakfast is served daily from 7:00 AM to 10:00 AM. Make yourself at home in one of the 350 air-conditioned rooms featuring refrigerators and minibars. Rooms have private balconies. Private bathrooms with bathtubs feature complimentary toiletries and hair dryers. Conveniences include phones, as well as safes and desks. This hotel enjoys private access to the beach in Sousse, The hotel is situated just 3 km away from the bustling city centre, where guests can explore and experience the rich culture and history of the area. The hotel is situated close to the marina and the Port el Kantaoui. This wonderful hotel is located just a short distance away from a golf course. This wonderful hotel is immersed in traditional, blended with contemporary influences. The guest rooms are beautifully designed, exuding classical elegance and style. Guests can enjoy delightful dining in the elegant restaurant, where international dishes are sure to tempt even the most discerning palate. With a stay at Riadh Palms - Family and Couples Only in Sousse, you'll be by the sea, within a 10-minute drive of Sousse Beach and Ribat of Sousse. This 4-star hotel is 3.5 mi (5.6 km) from Stade Olympique and 4.9 mi (7.9 km) from Port El Kantaoui Harbour. Make yourself at home in one of the 254 air-conditioned rooms featuring fireplaces and LCD televisions. Your bed comes with premium bedding, and all rooms are furnished with sofa beds. Rooms have private furnished balconies. Complimentary wireless Internet access is available to keep you connected. Make yourself at home in one of the 316 air-conditioned rooms featuring kitchenettes. Rooms have private balconies or patios. Complimentary wireless Internet access keeps you connected, and satellite programming is available for your entertainment. Conveniences include minibars, housekeeping is provided daily, and cribs/infant beds (complimentary) can be requested. Located in Port El Kantaoui, El Mouradi Club Selima is in the entertainment district, within a 10-minute drive of El Kantaoui Golf Course and Port El Kantaoui Beach. 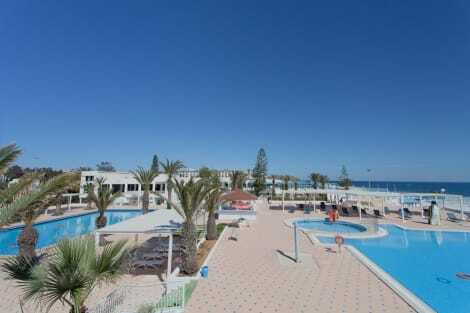 This all-inclusive property is 5.9 mi (9.5 km) from Sousse Beach and 1.7 mi (2.7 km) from Port El Kantaoui Harbour. lastminute.com has a fantastic range of hotels in Sousse, with everything from cheap hotels to luxurious five star accommodation available. We like to live up to our last minute name so remember you can book any one of our excellent Sousse hotels up until midnight and stay the same night.